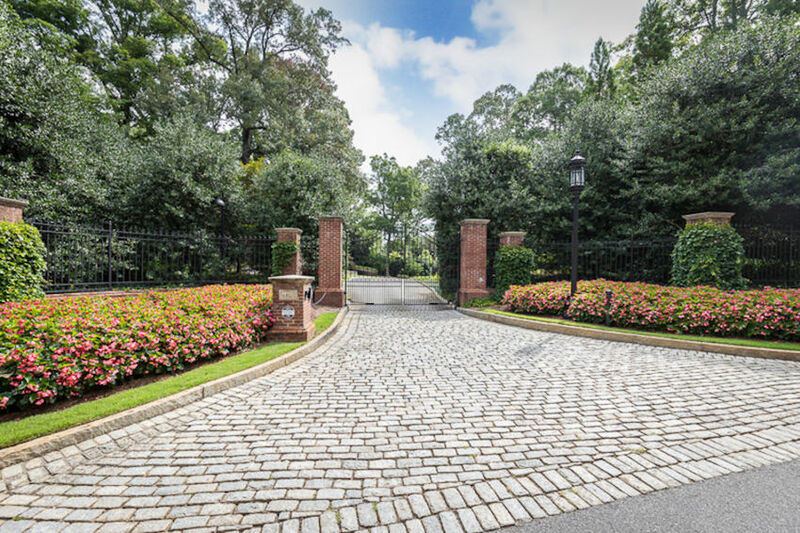 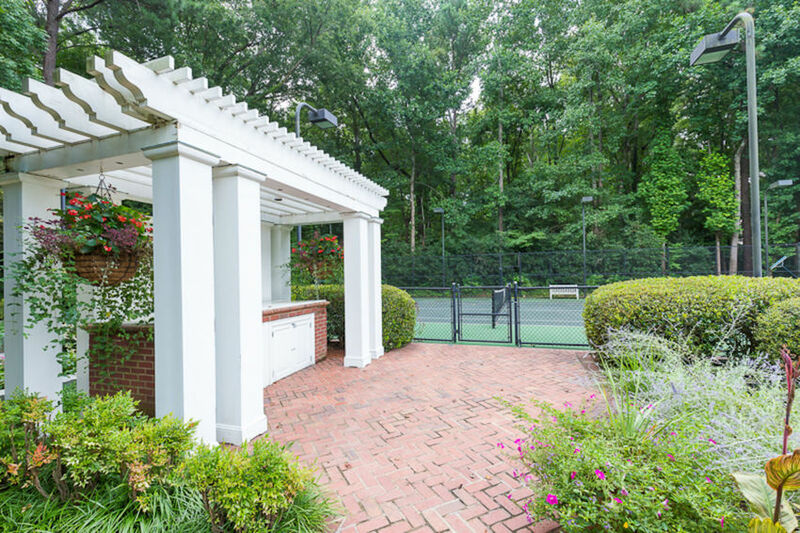 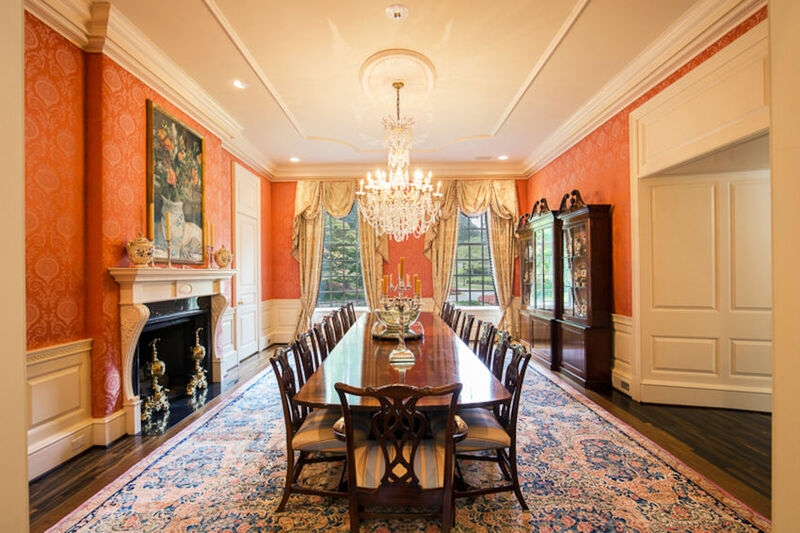 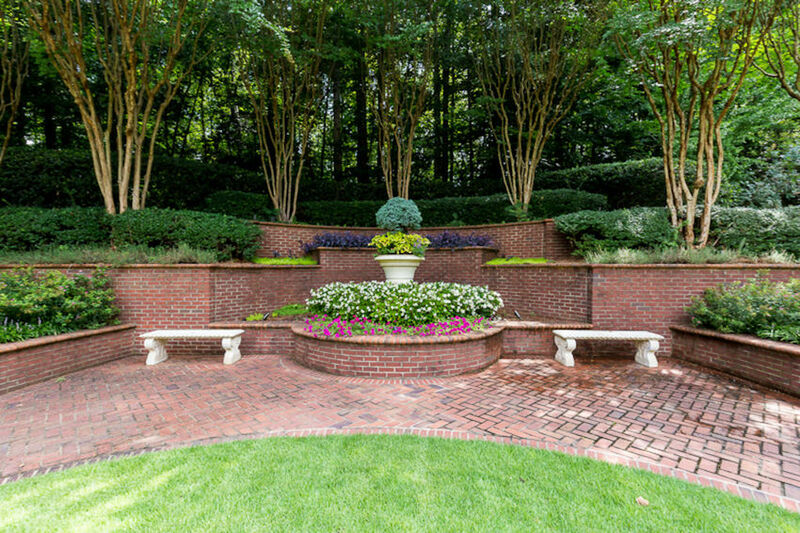 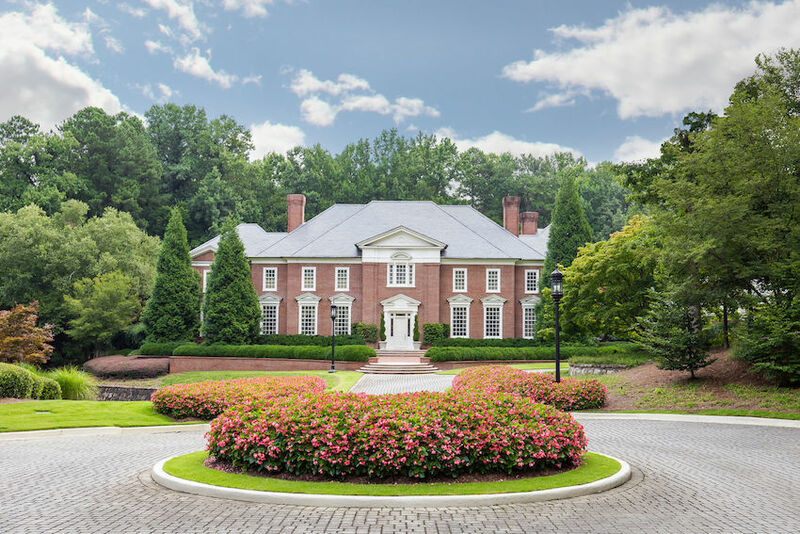 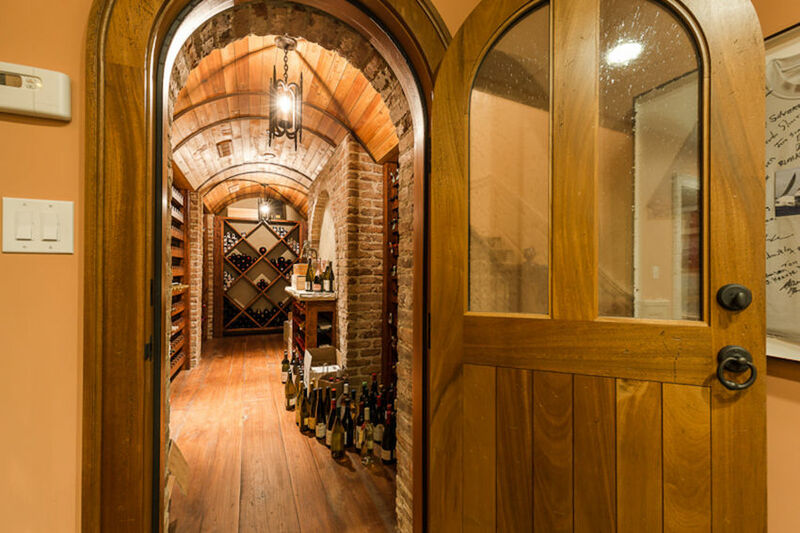 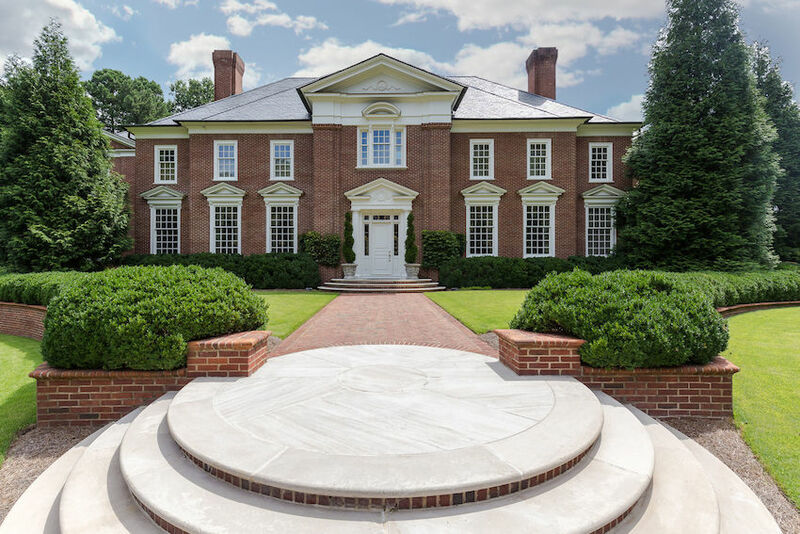 Behind the stately brick and iron gates of 4615 Northside Drive, a winding tree-lined cobblestone drive opens to a Classical Georgian style brick home on a meticulous 9.24 acre estate. 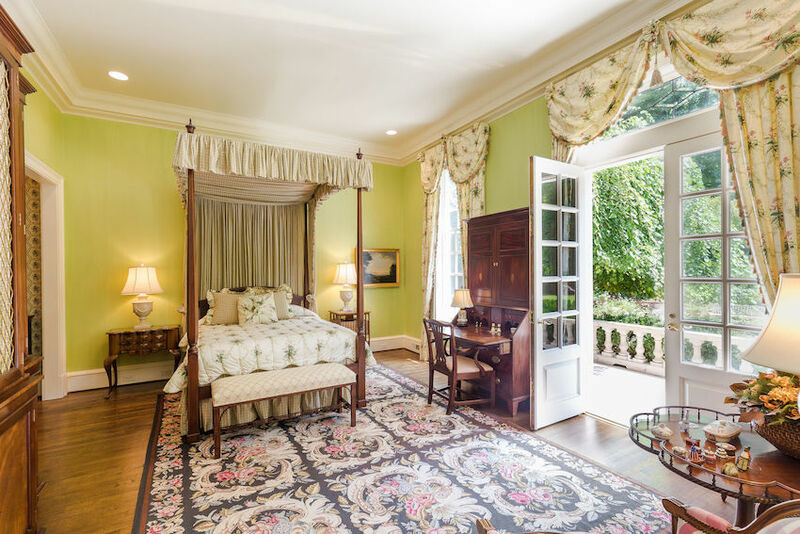 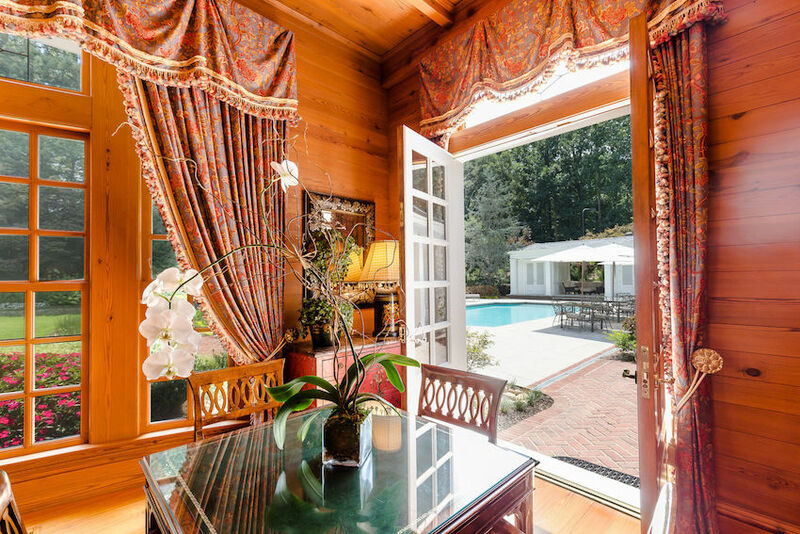 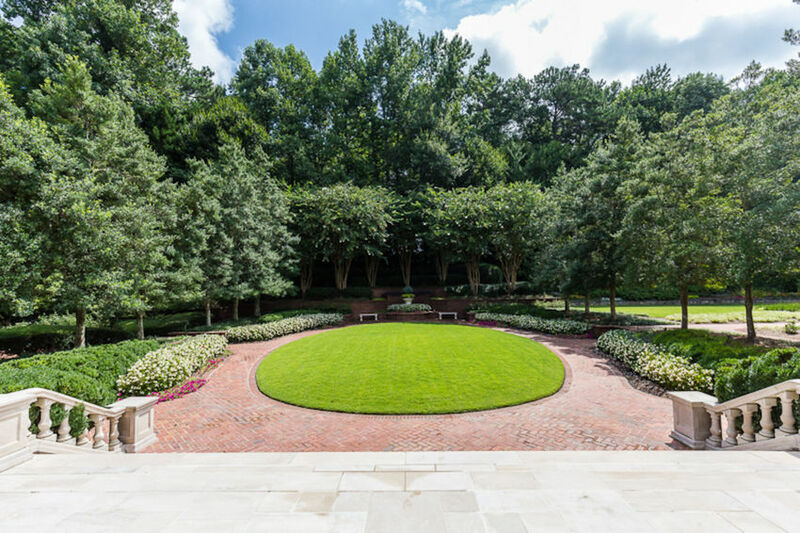 This enchanting garden estate has just hit the market for the first time since completion for $9,395,000. 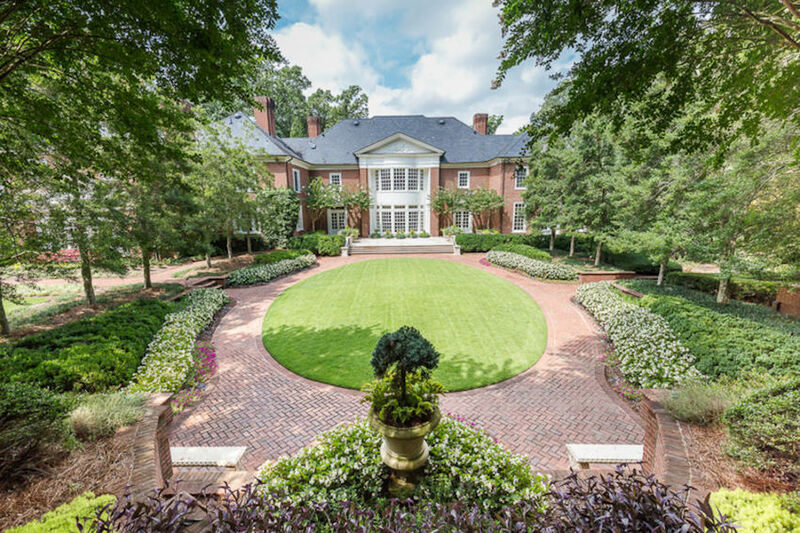 Designed by noted Atlanta architects Kenneth Lynch & Associates, AIA and built by well-known Atlanta developer and builder, Wilmont Williams, in 1990, the well-appointed 11,100 square foot home features elegant and sizeable rooms with high ceilings, custom millwork and deep moldings which enhance the rich character throughout the home. 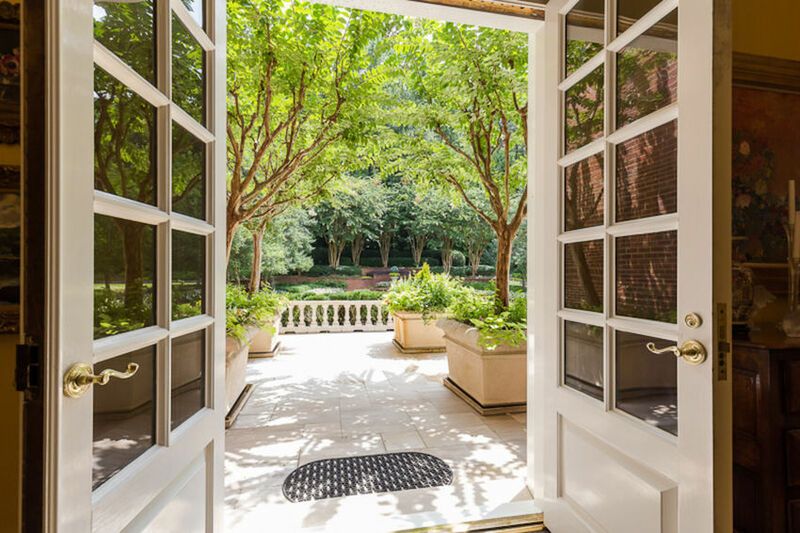 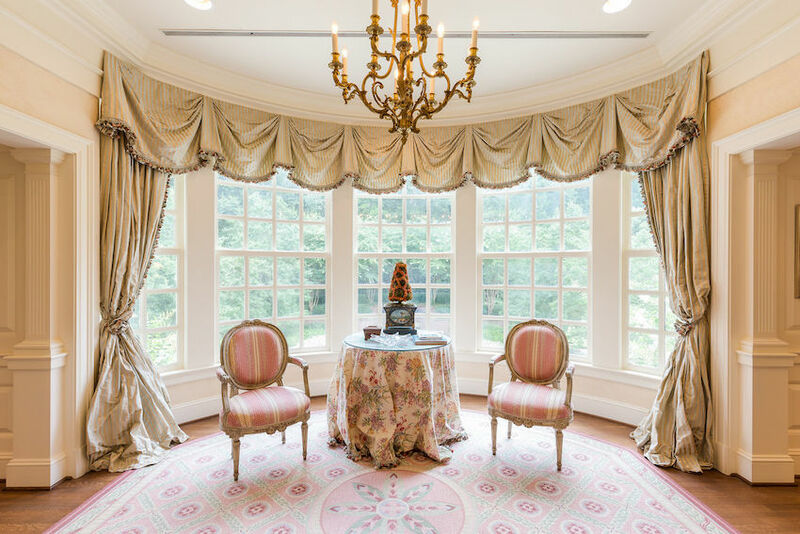 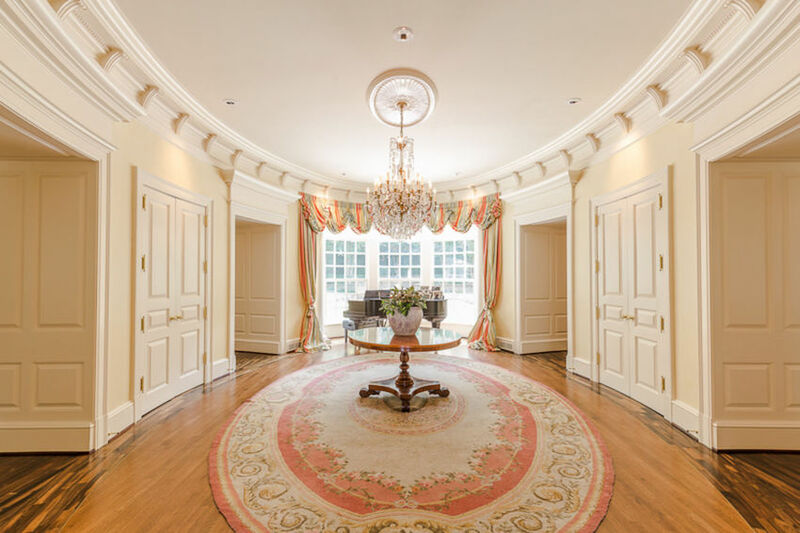 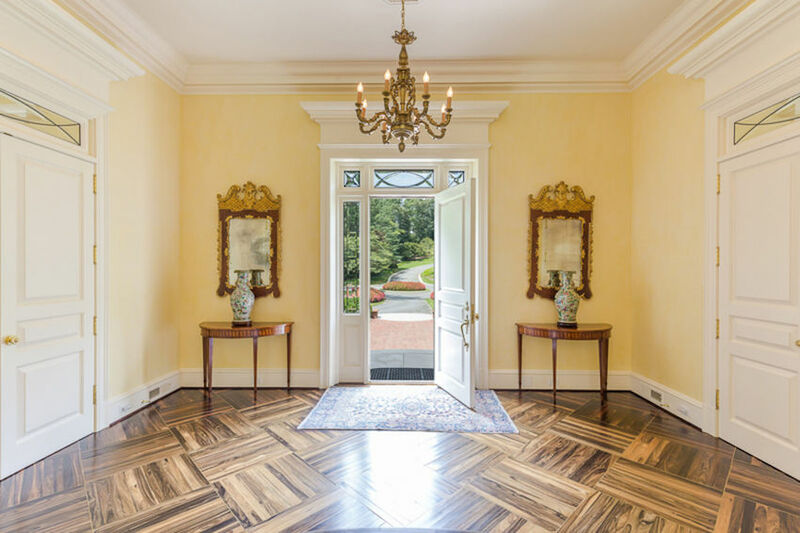 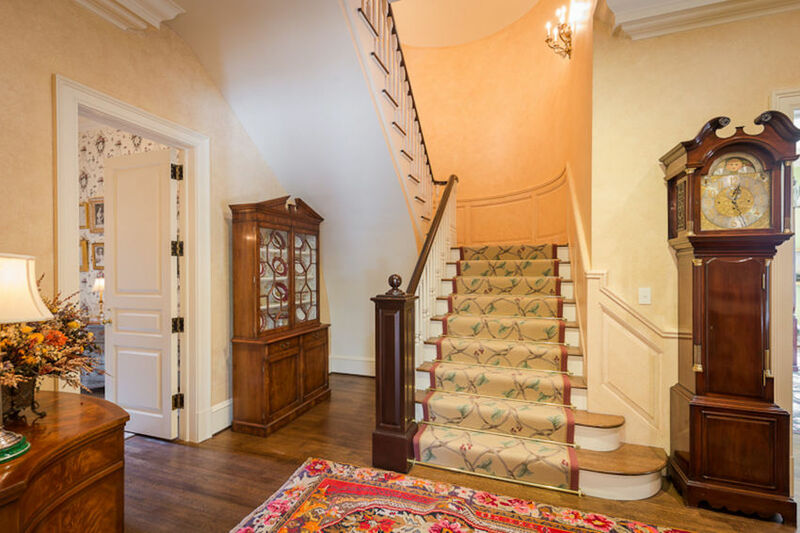 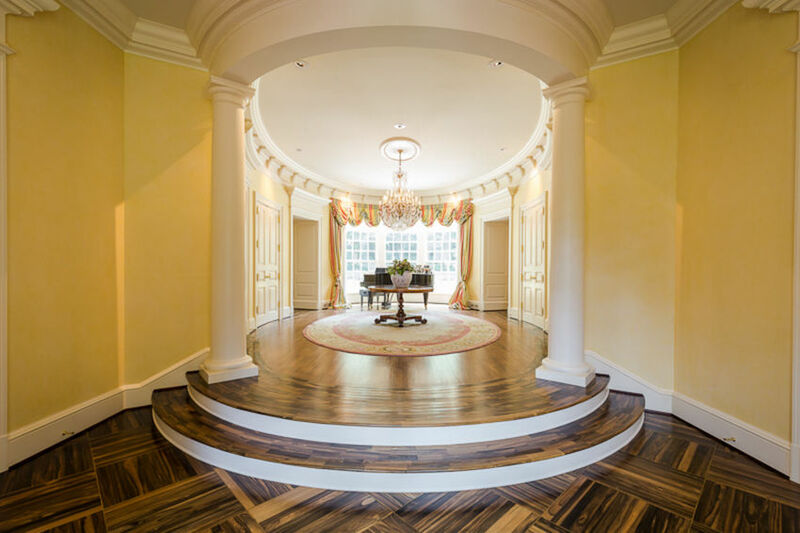 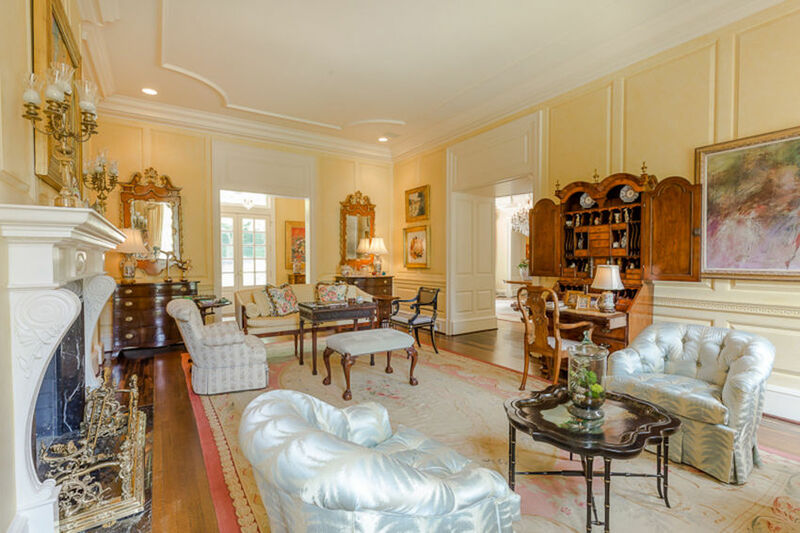 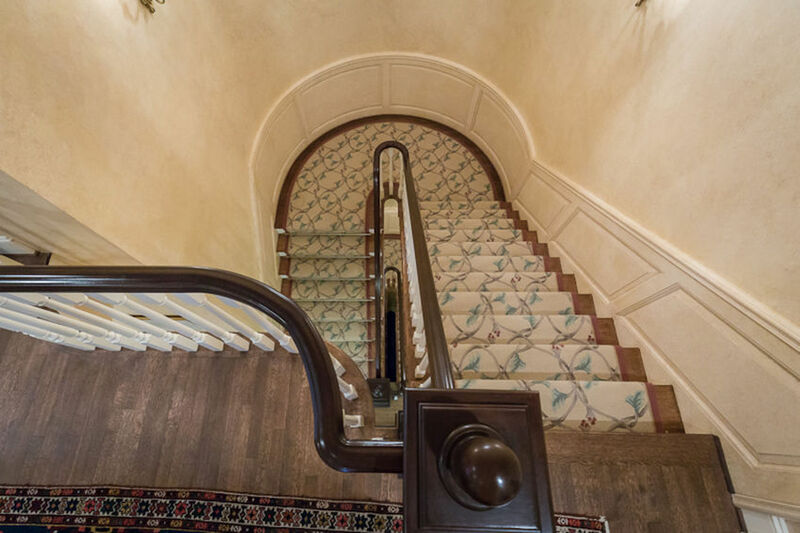 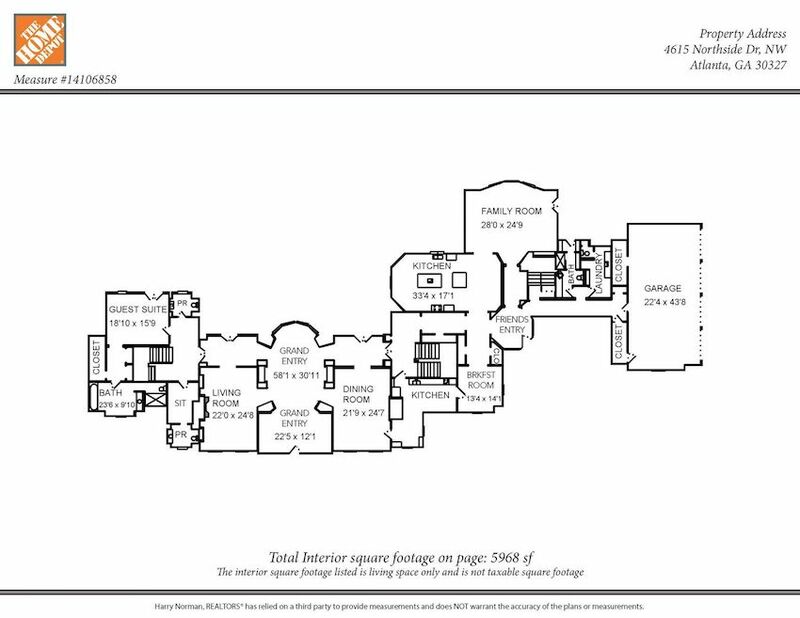 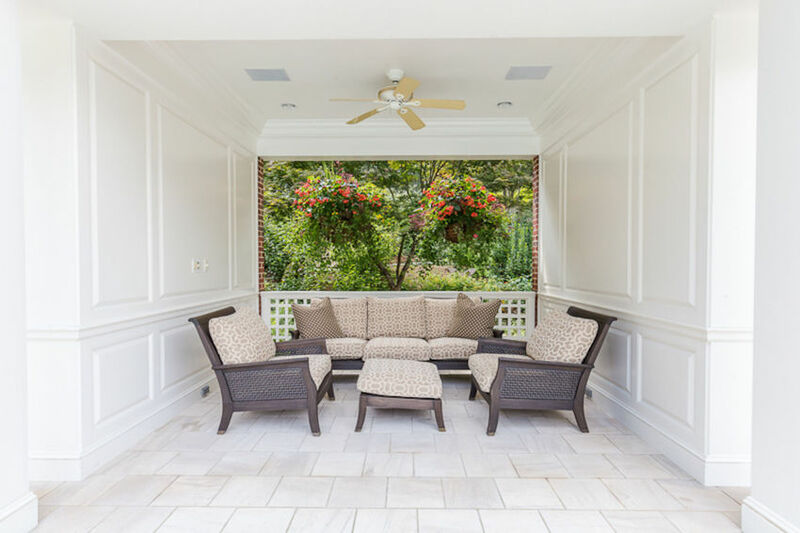 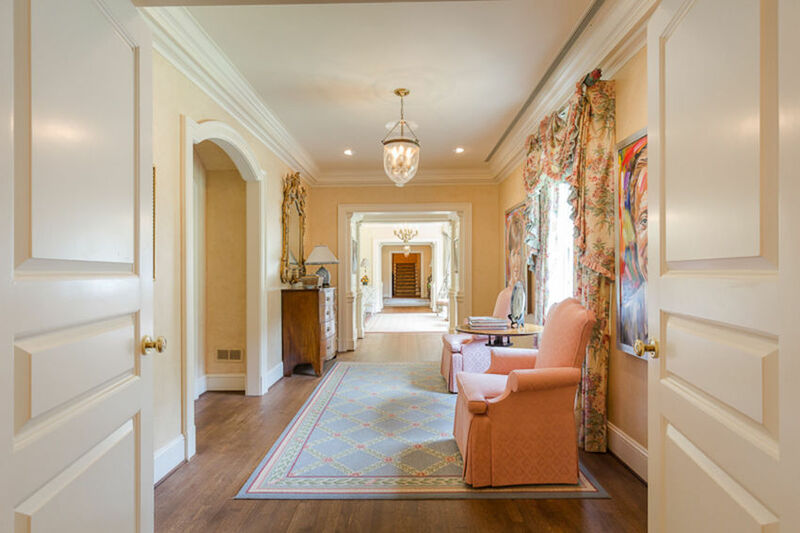 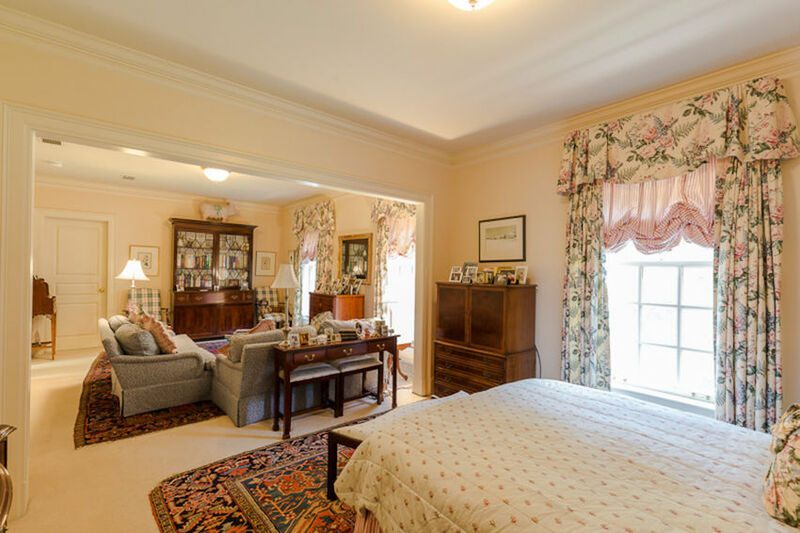 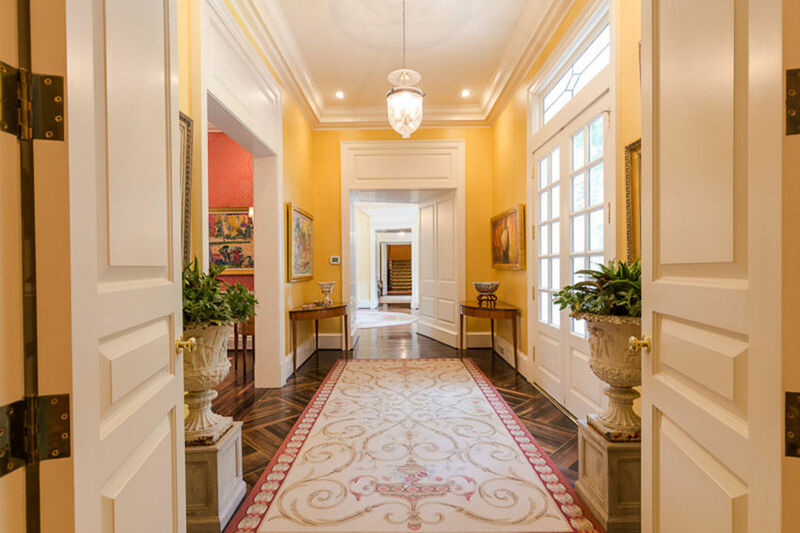 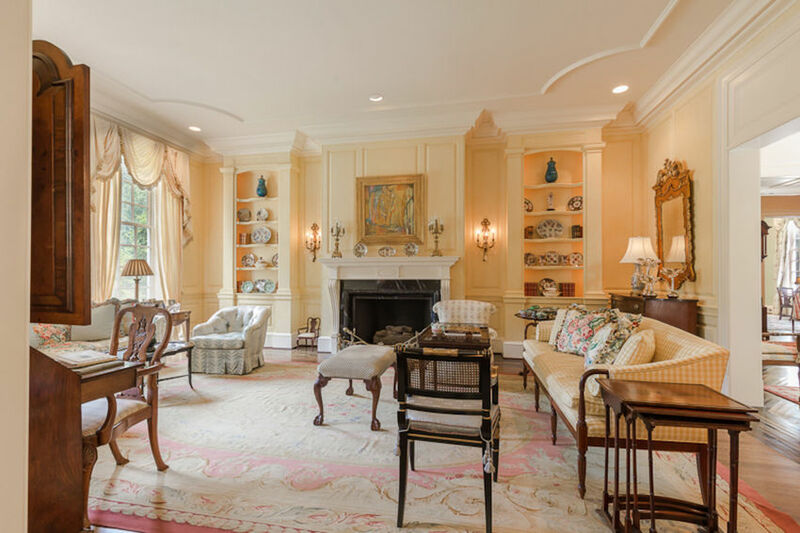 The gracious entry foyer welcomes all into the heart of the home and opens directly to the formal living and dining rooms in addition to the galleries, which perfectly frame the adjoining limestone terrace and formal gardens. 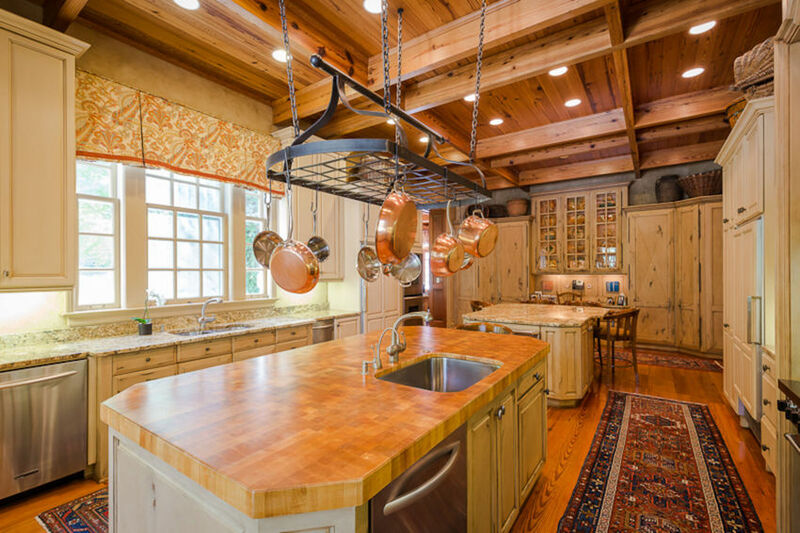 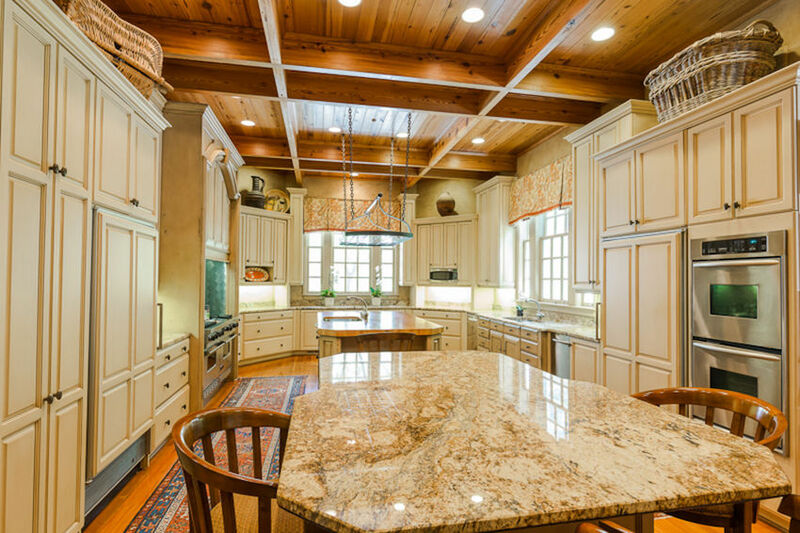 Additional features include a gourmet kitchen, large catering kitchen and panelled family room with stone fireplace and beamed ceilings. 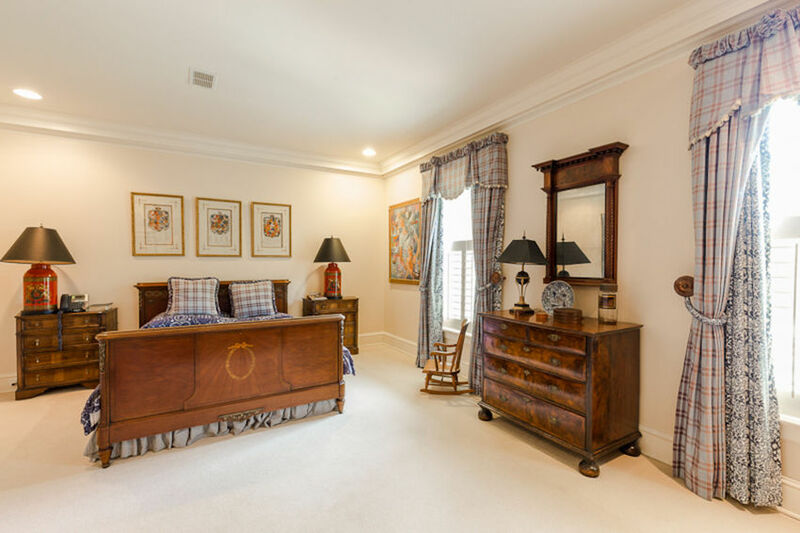 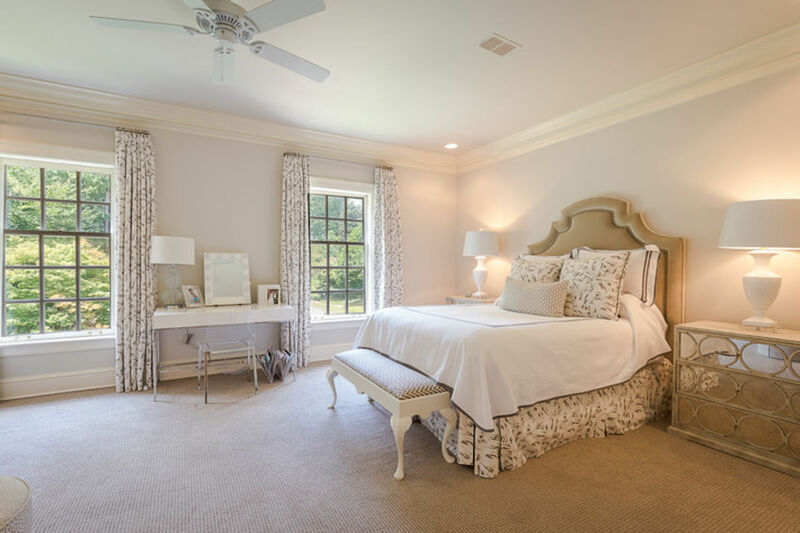 There are 6 bedrooms and 9 bathrooms throughout, including a lavish master suite with fireplace and large walk-in closets with dressing room. 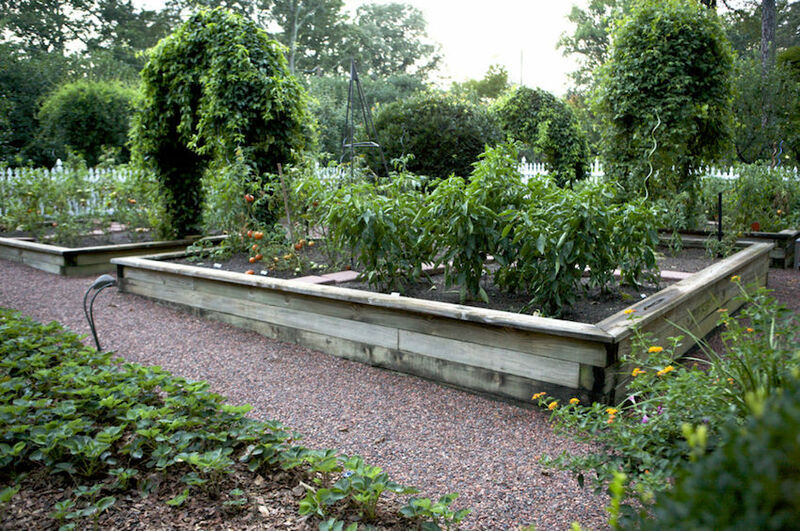 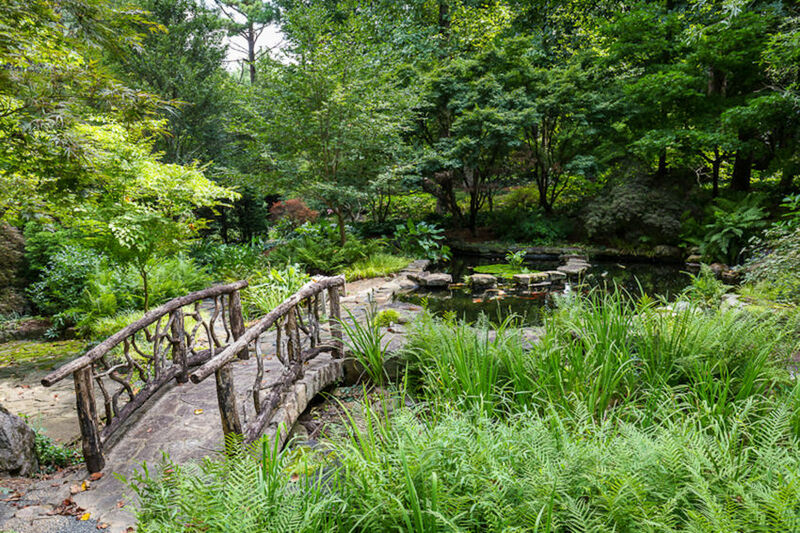 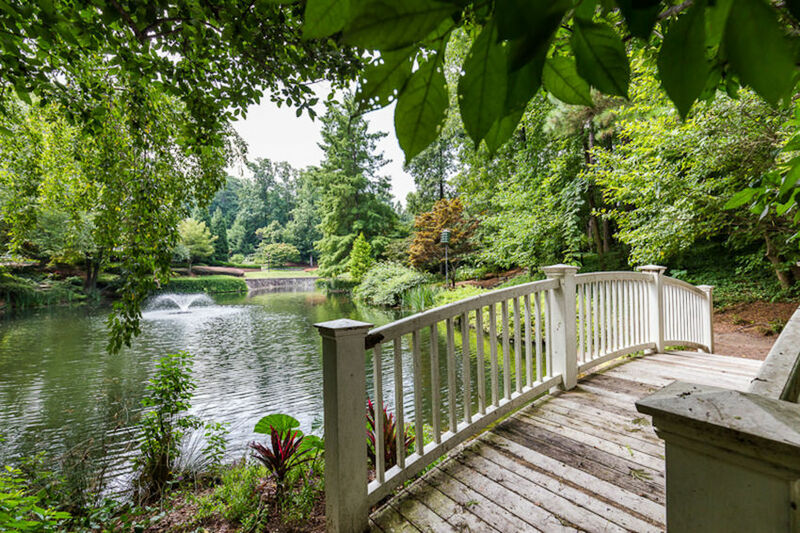 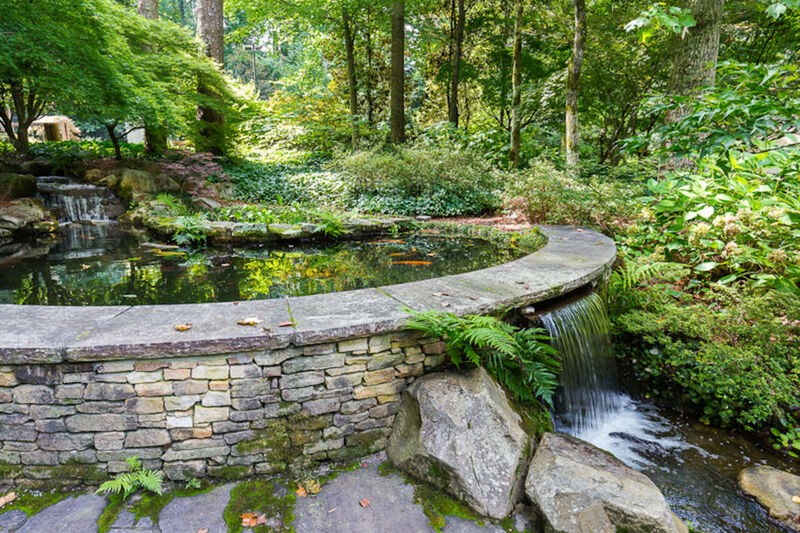 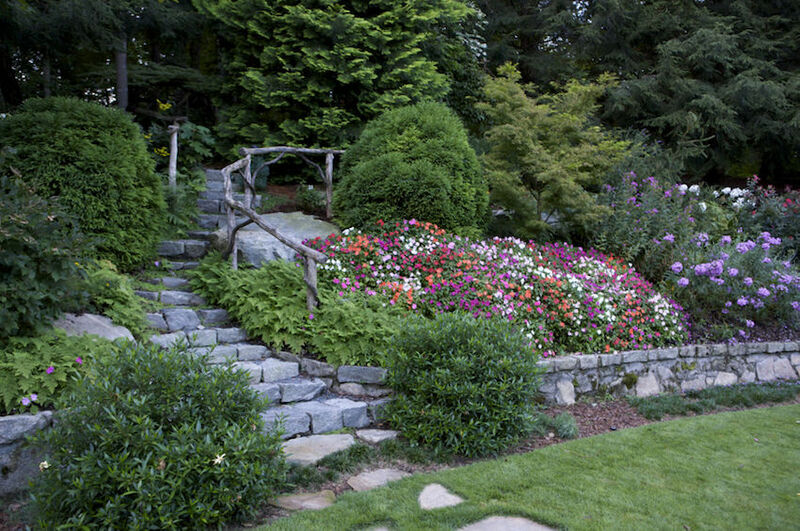 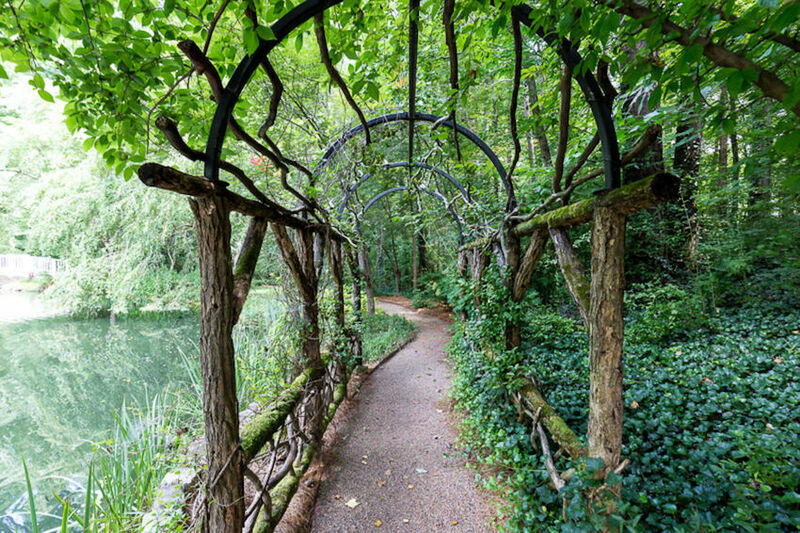 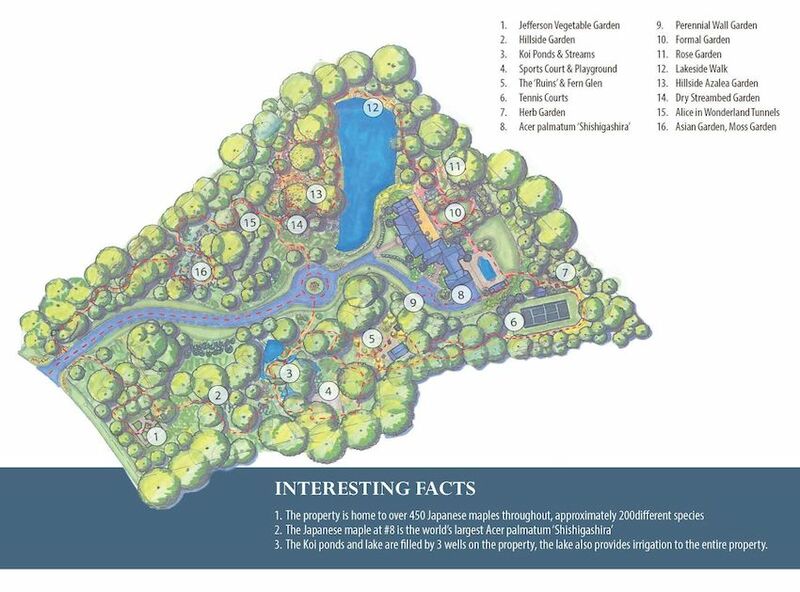 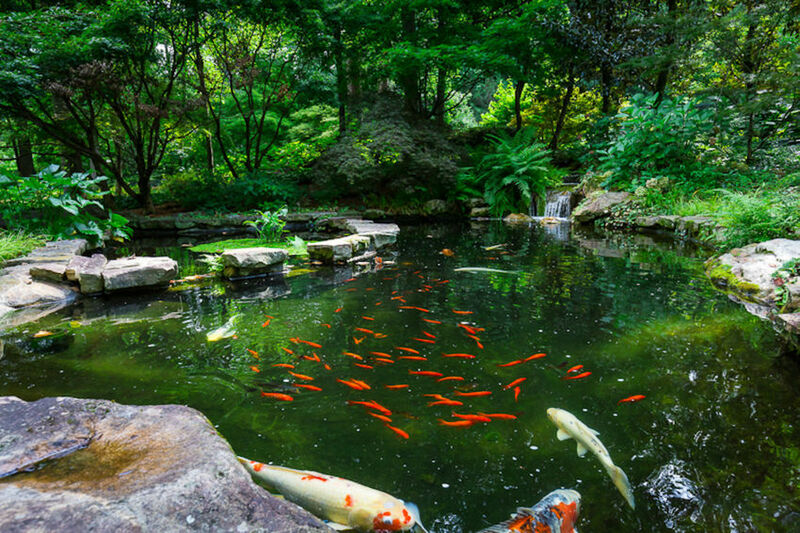 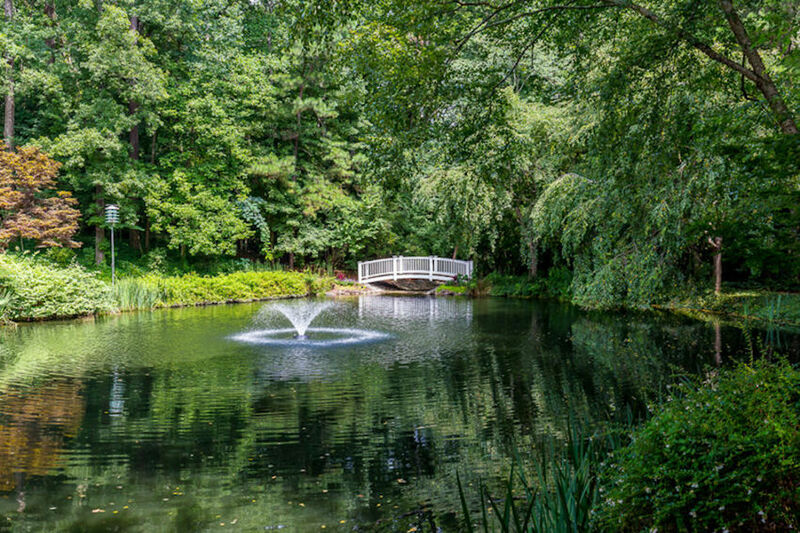 The captivating estate contains a multitude of enchanting gardens, winding paths, fish filled ponds, and unique outdoor venues. 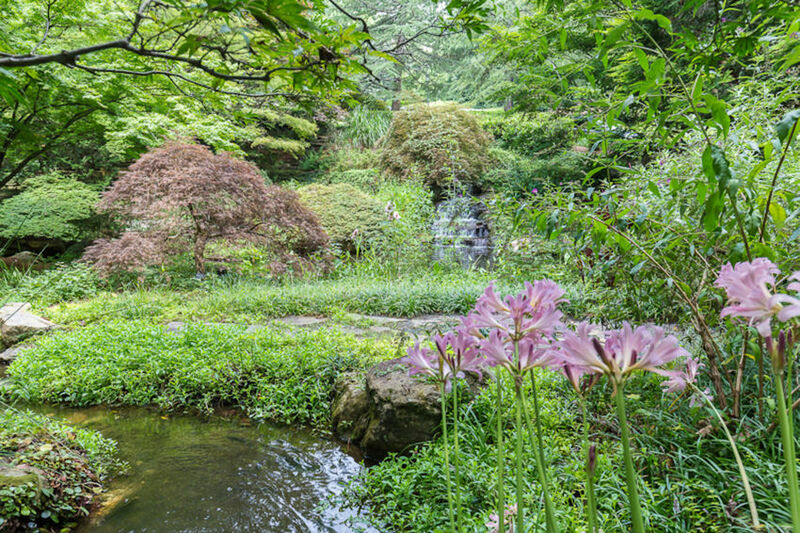 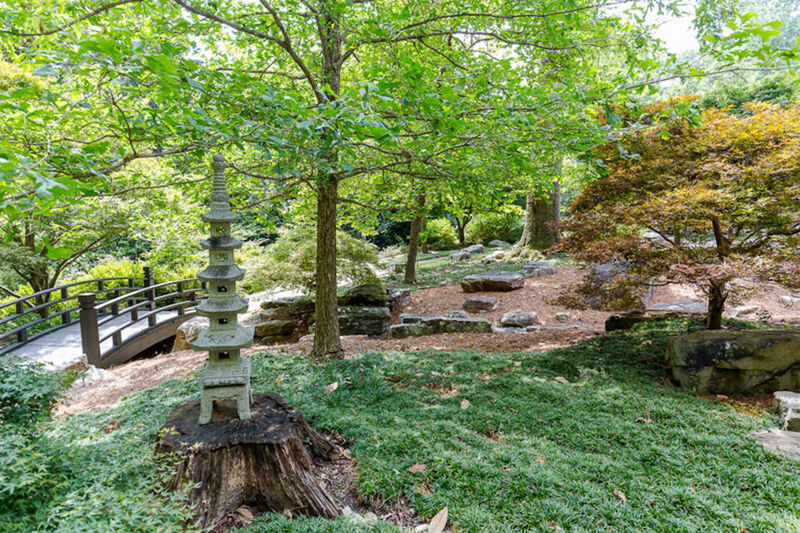 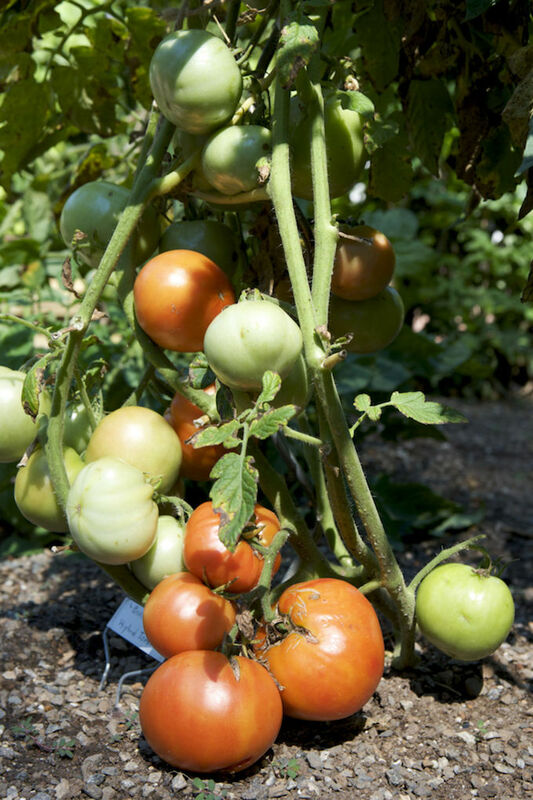 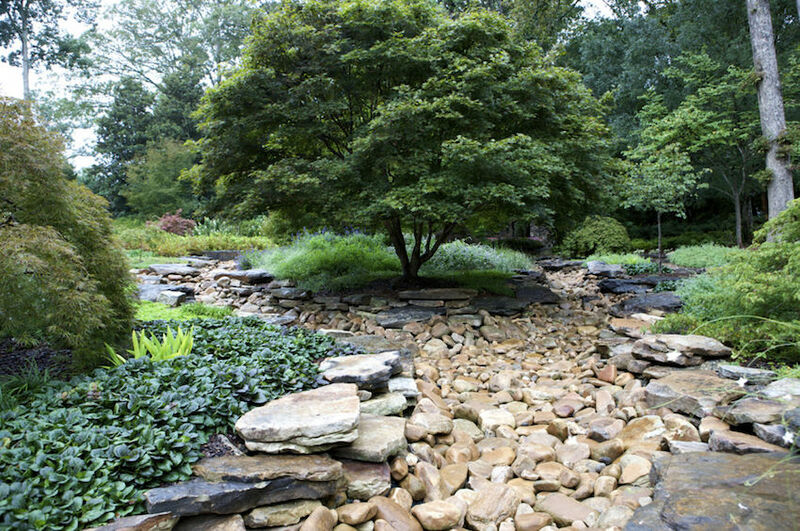 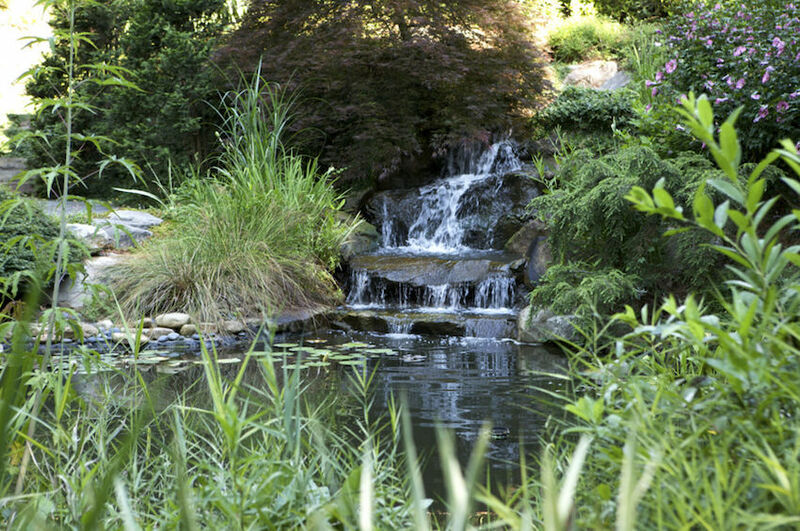 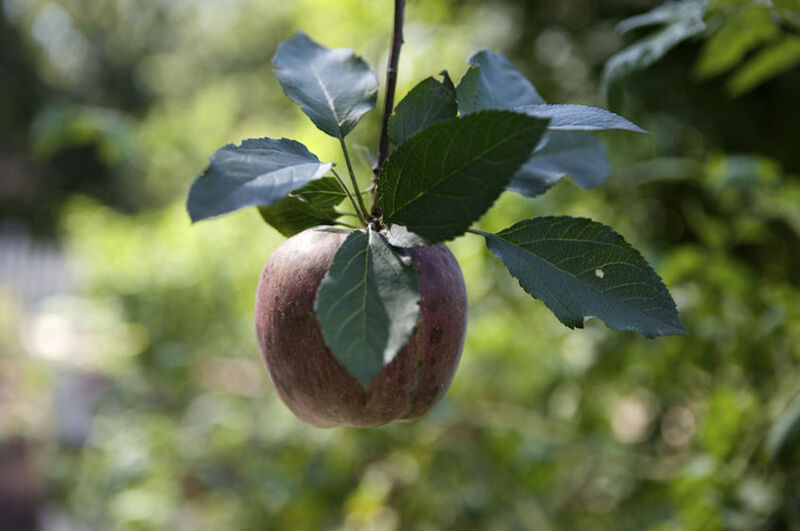 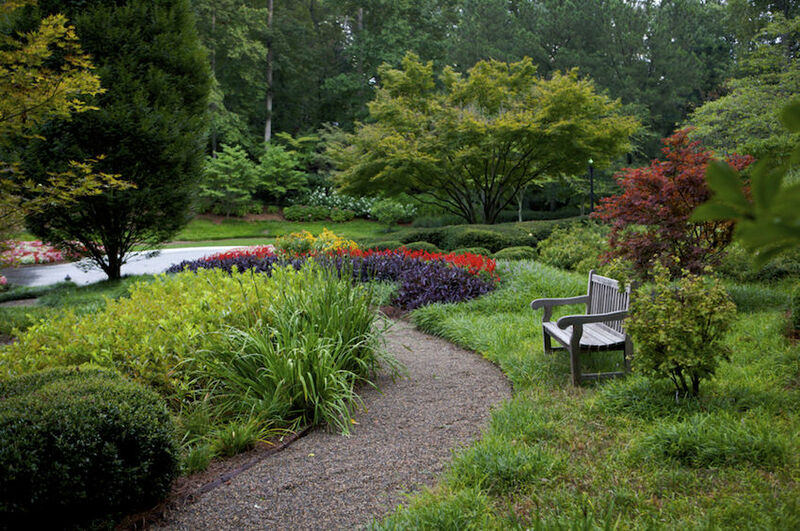 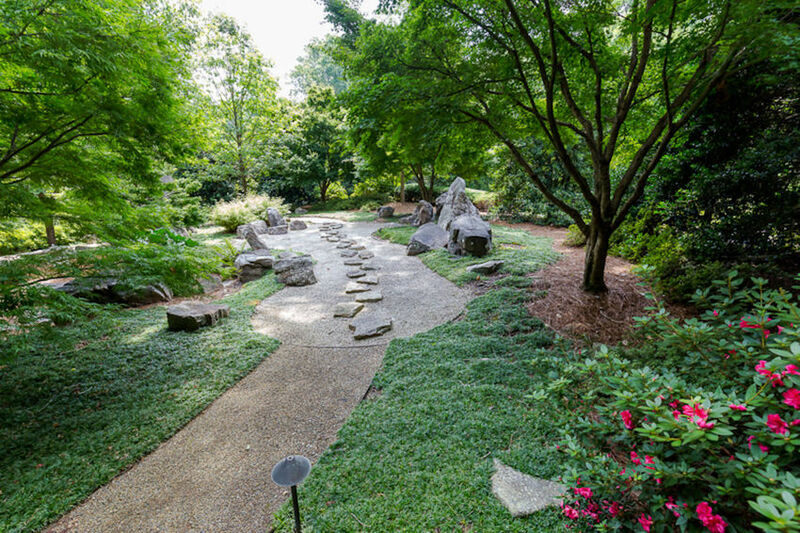 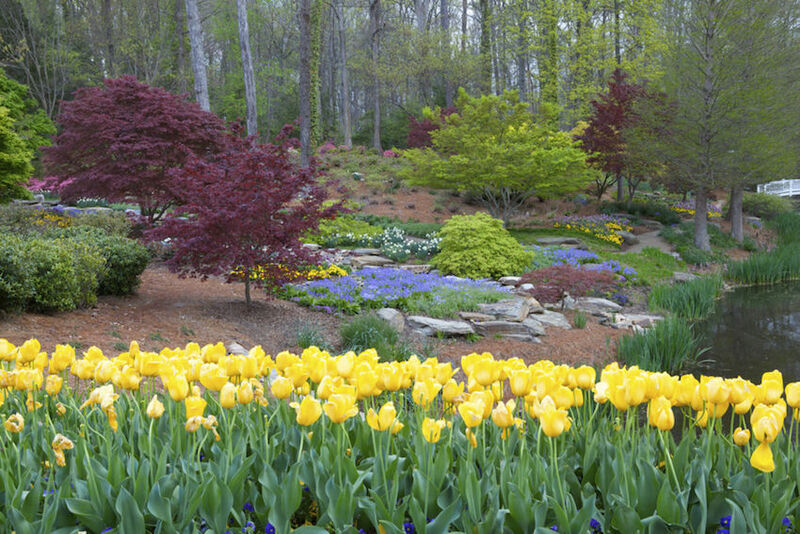 The landscaping of the grounds is designed specifically for colour to flourish year-round and includes, among other notable items, nearly 200 different species of Japanese maples. 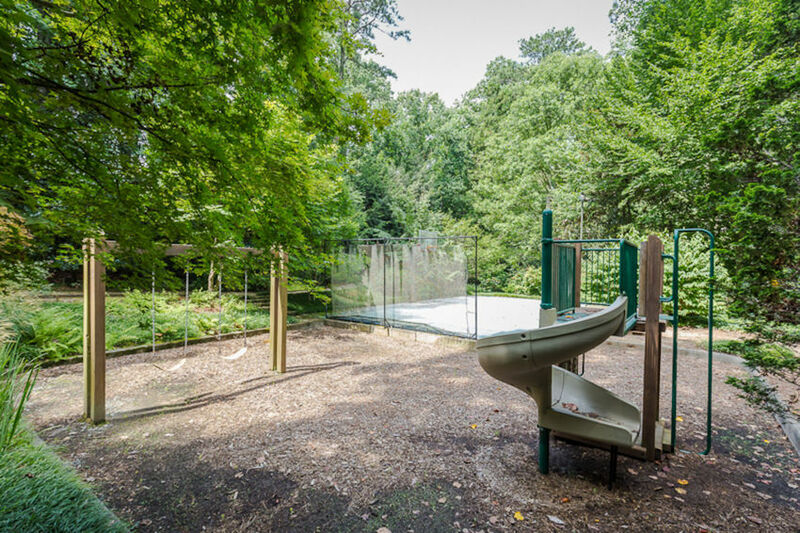 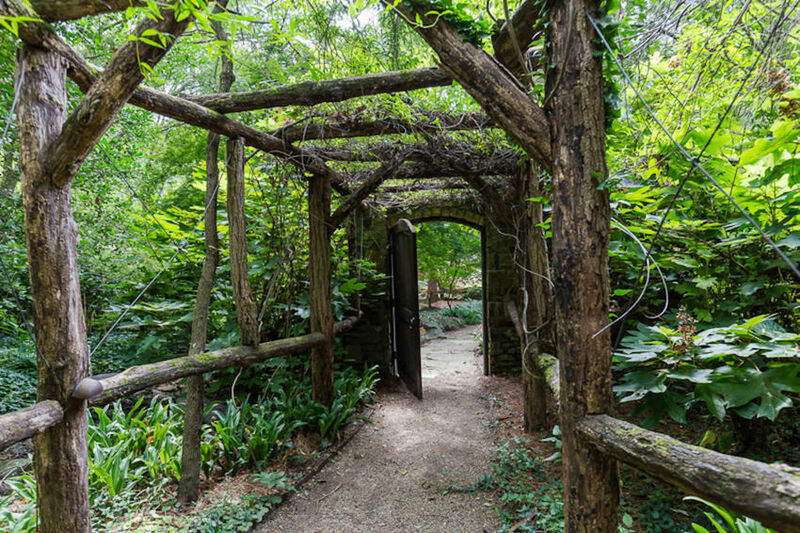 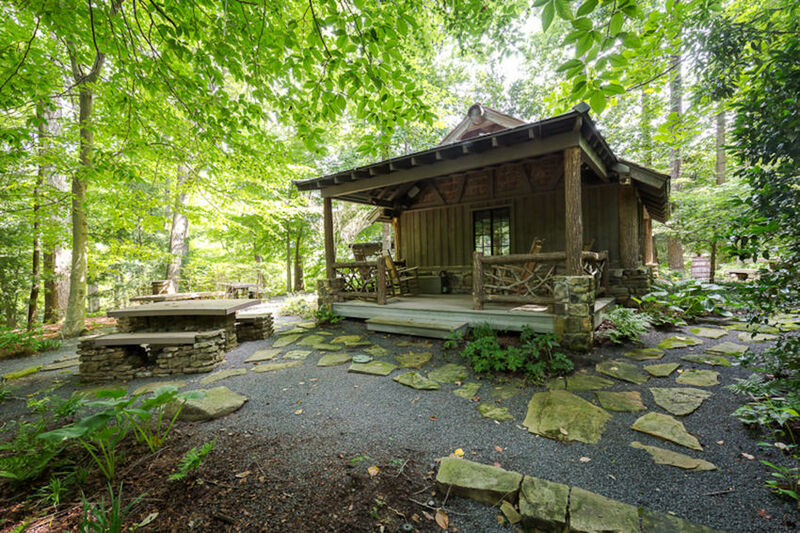 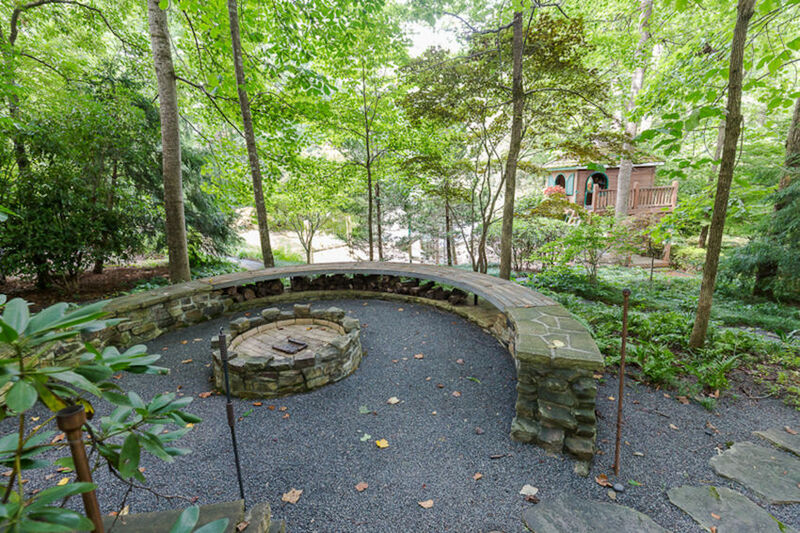 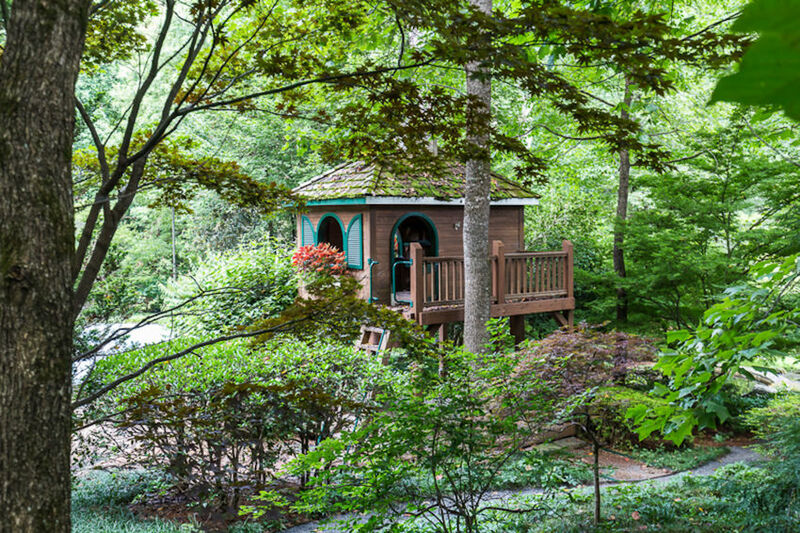 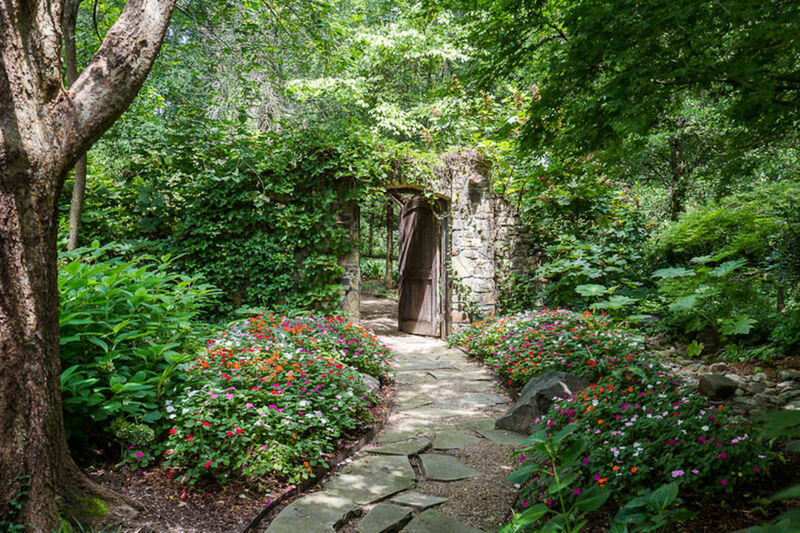 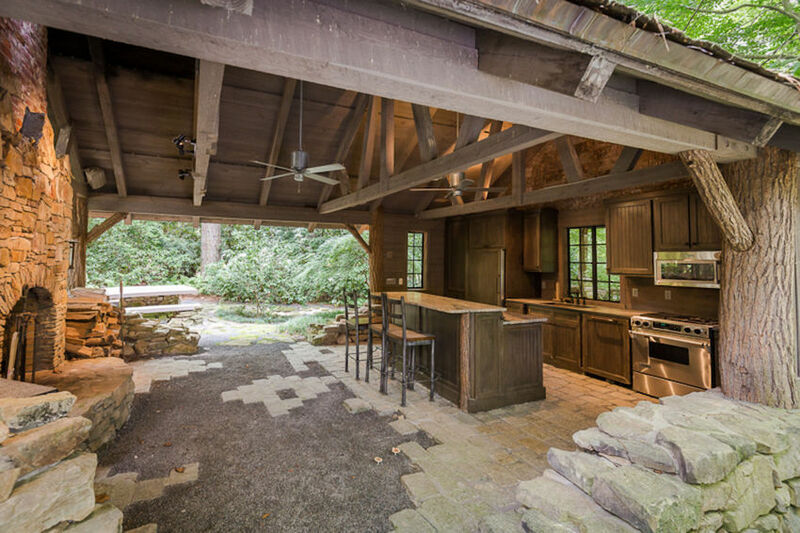 Further tucked within the property, just beyond the playground and sports court you will stumble upon the “The Ruins & Fern Glen” which includes a covered outdoor kitchen with fireplace, built-in grill and picnic tables for entertaining. 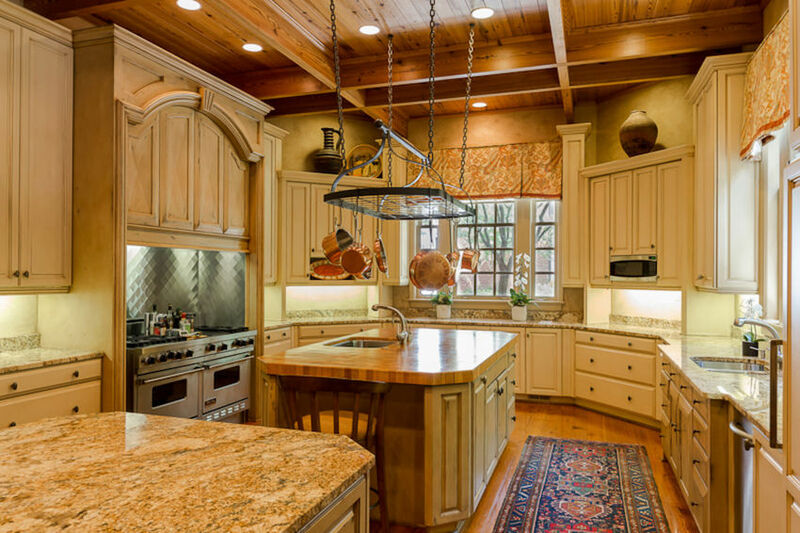 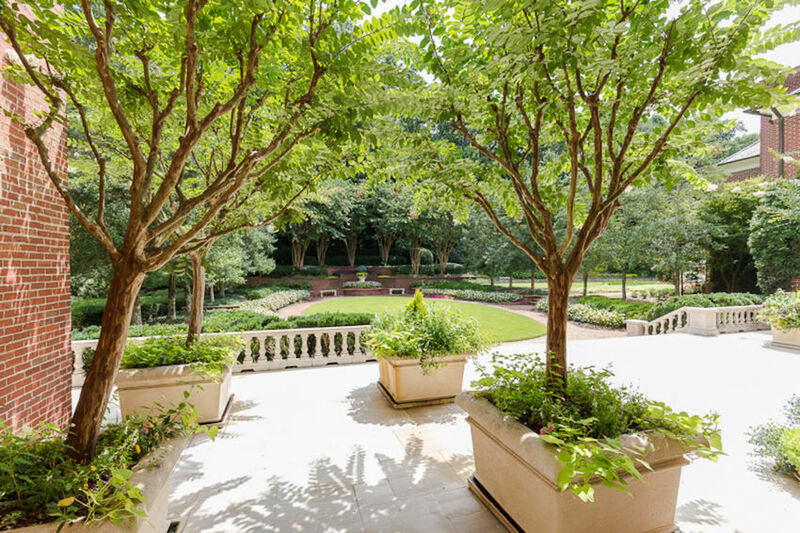 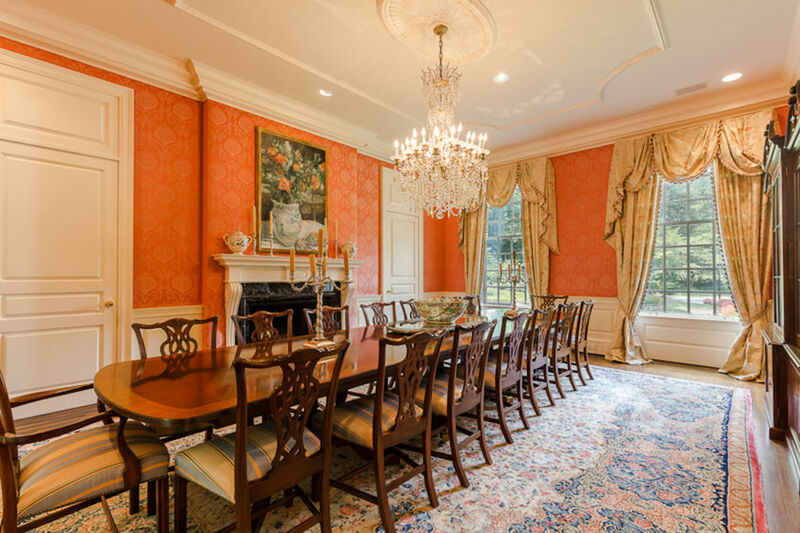 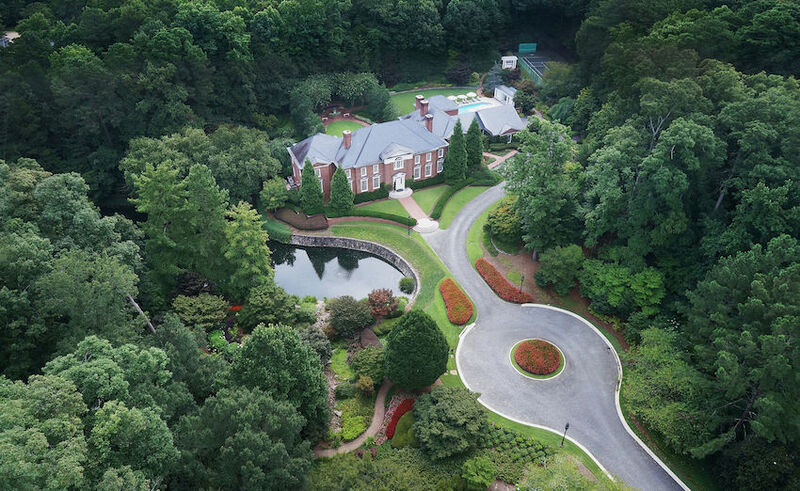 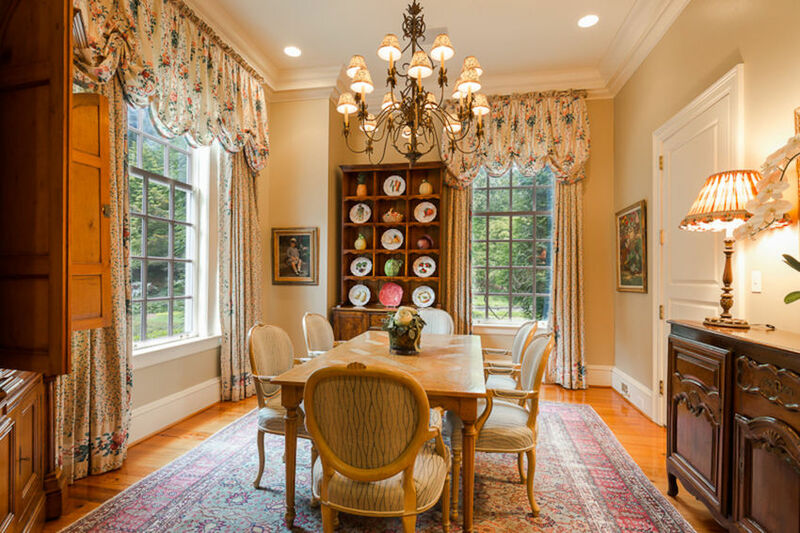 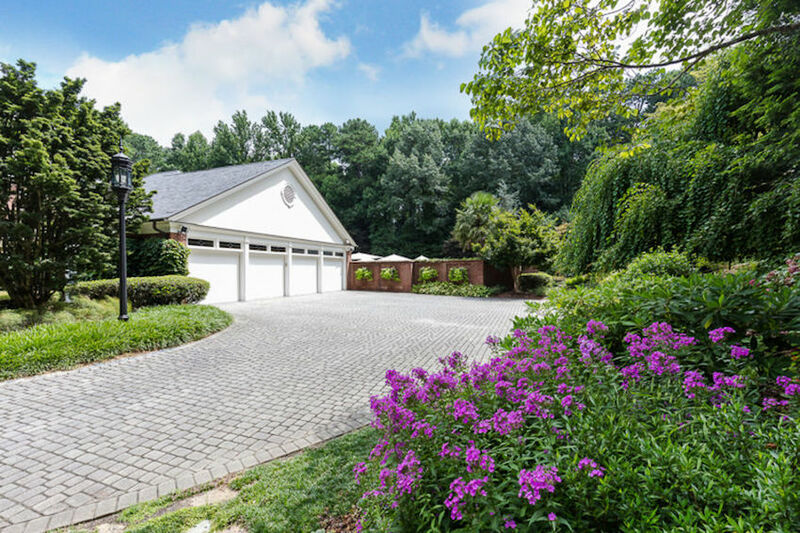 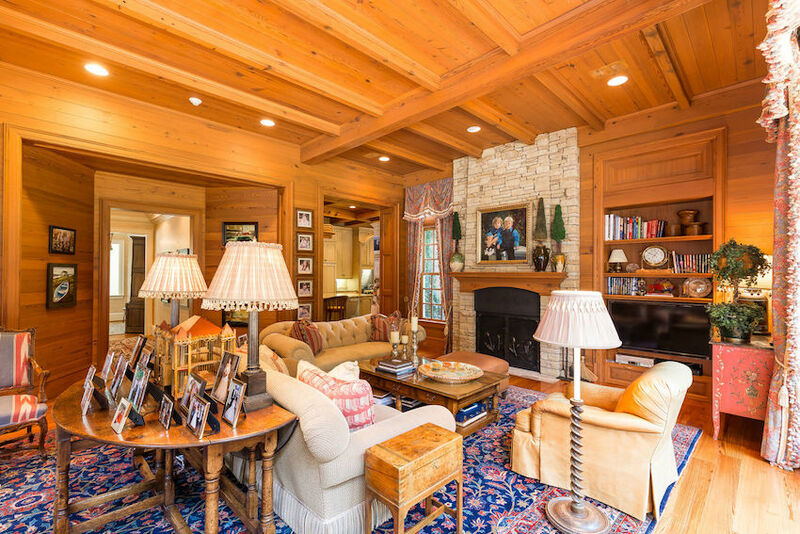 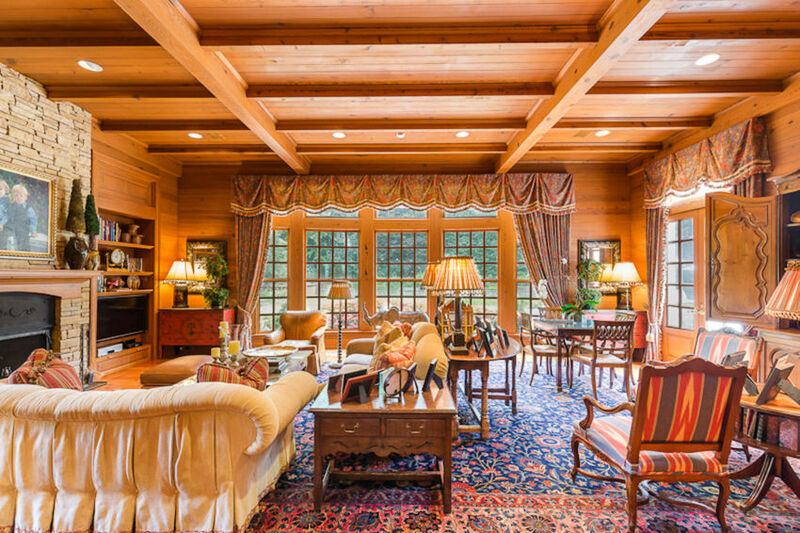 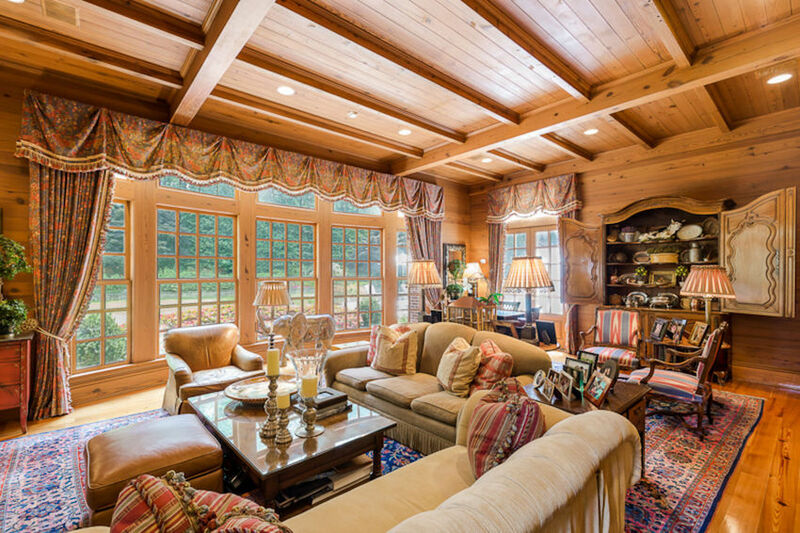 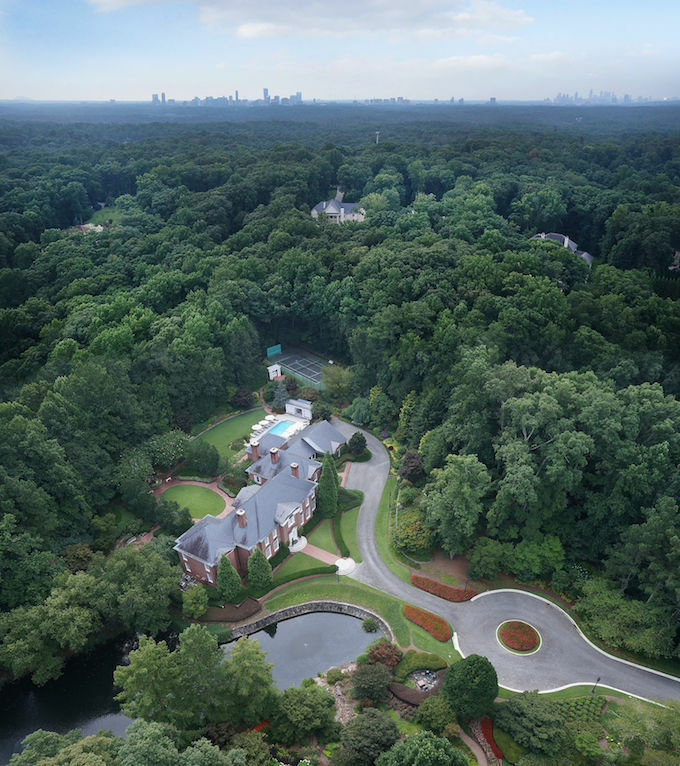 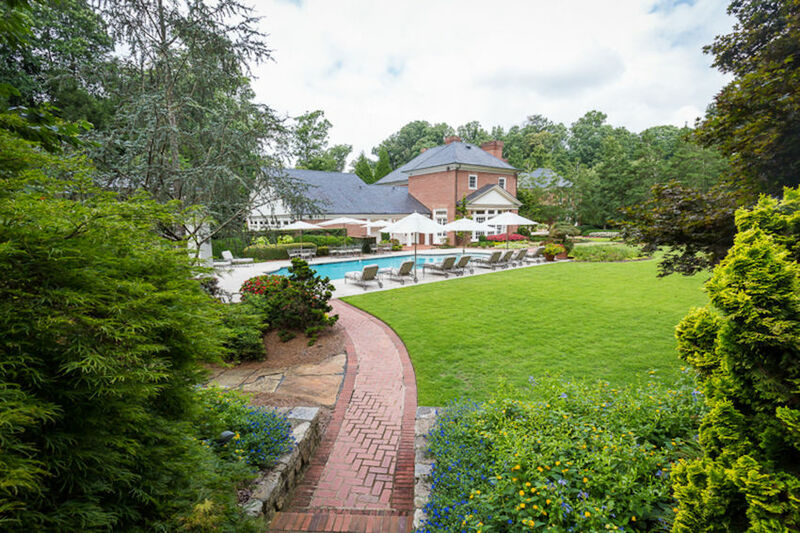 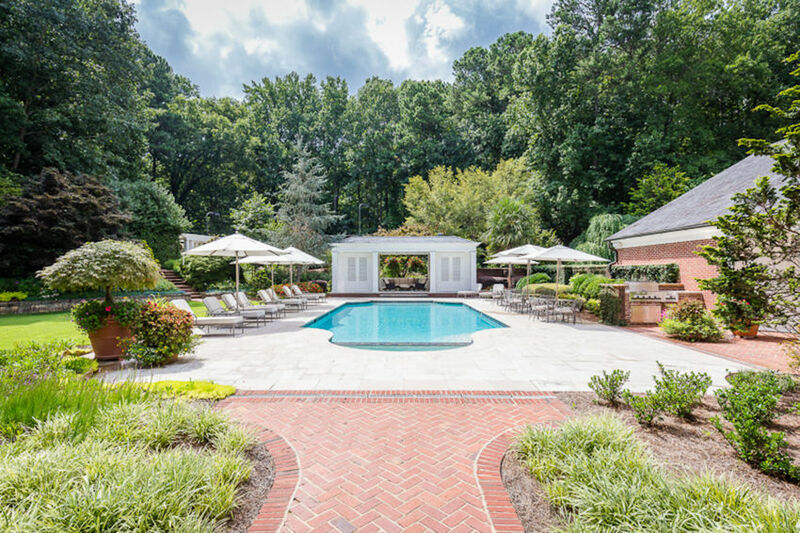 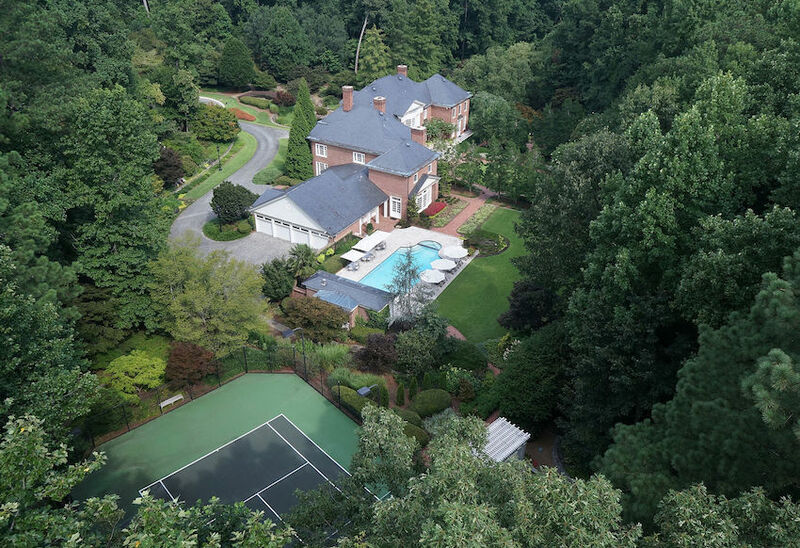 Carefully designed and meticulously maintained by just one family, this is a unique opportunity to own one of Atlanta’s truly exclusive estates. 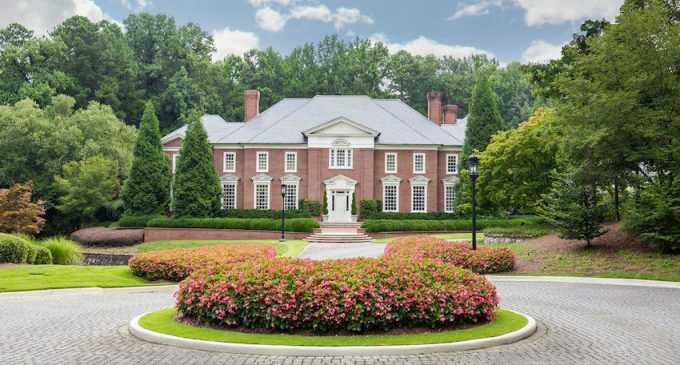 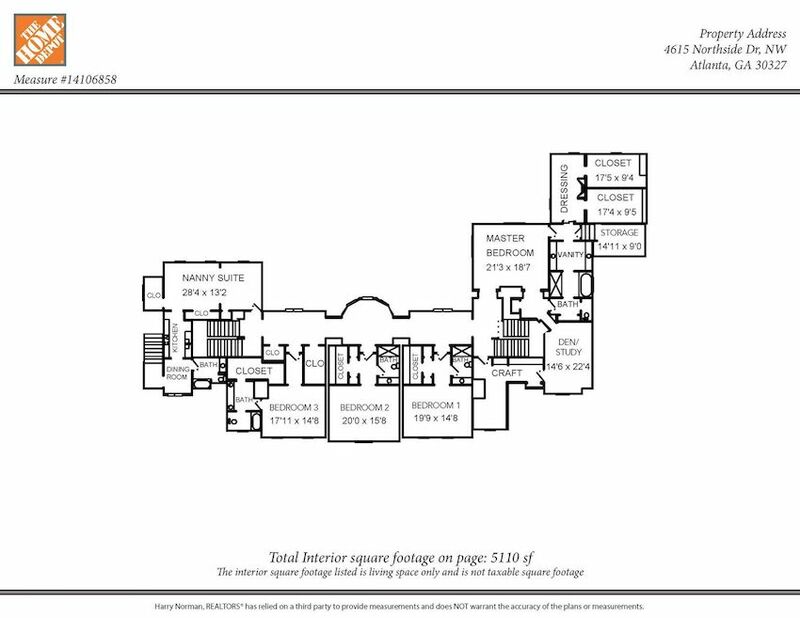 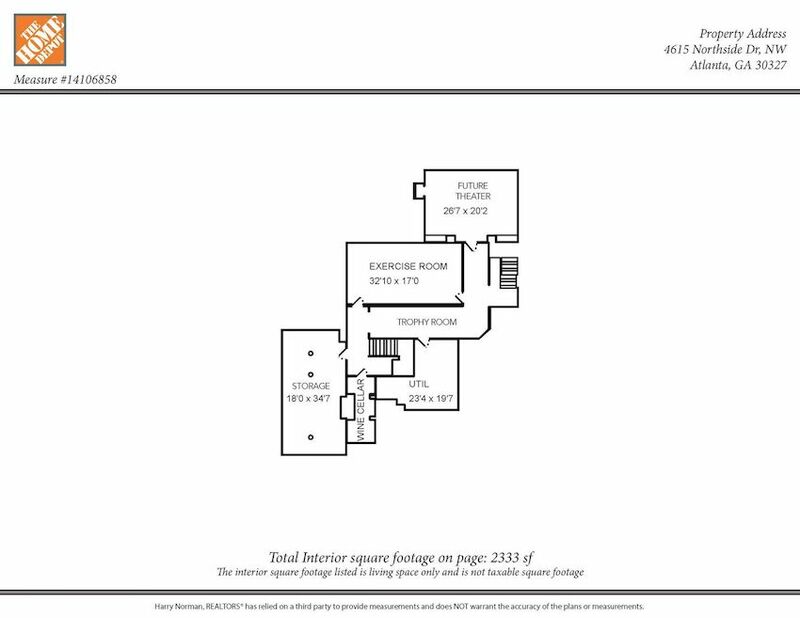 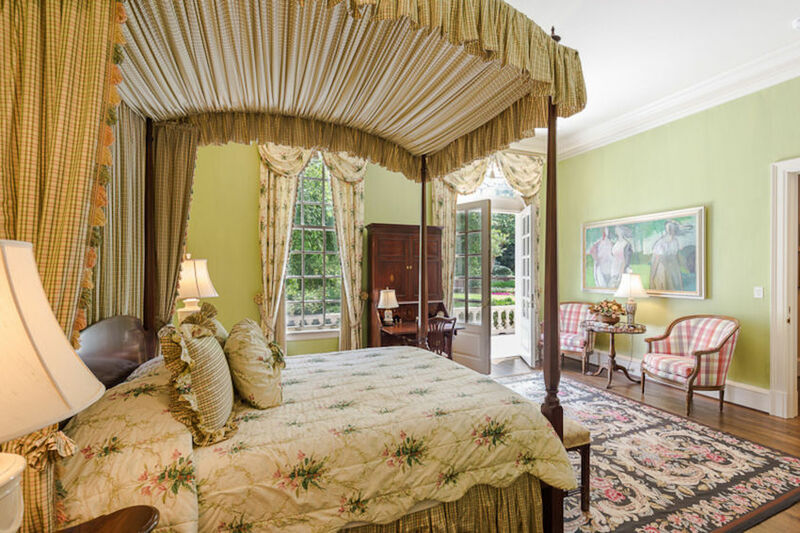 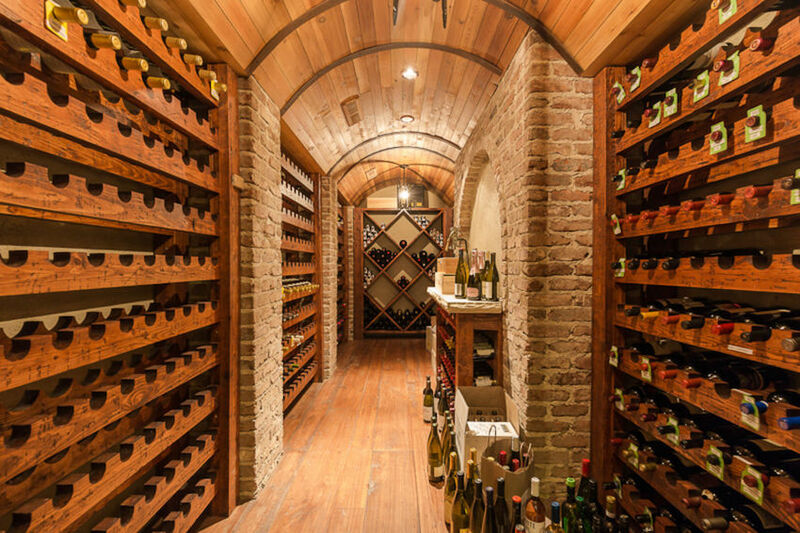 It’s on the market for $9,395,000 with Harry Norman. 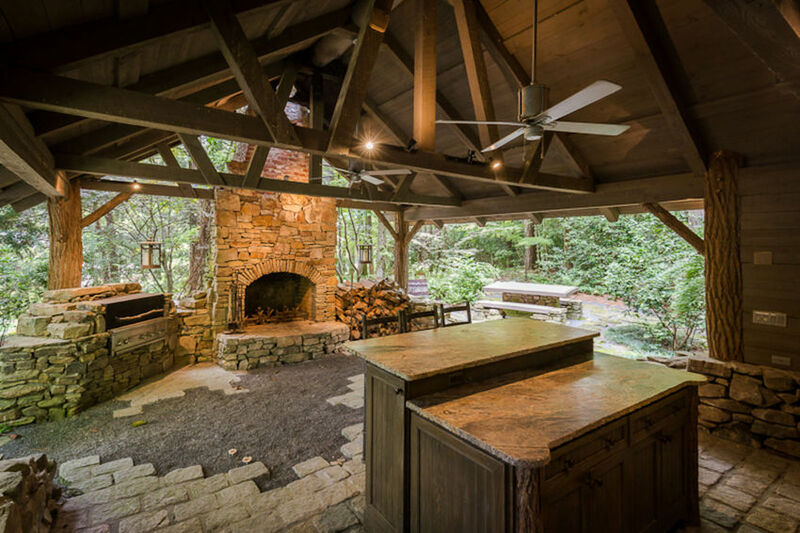 Thank you to Andrew for sending this one in!